"Thanks to some very generous donations RSPCA has been able to continue to improve our shelter assets. We have invested: $750,000 in building improvements at Wacol"
Did the RSPCA QLD spend $750,000 of the community's animal welfare donations on a new for-profit crematorium at Wacol? And did they do so at the same time they changed their surrender/reporting processes? Prior to 2016, "Owner Euthanasia Request" statistics were included as a line item in the organisations annual report. In the 2015/16 Annual Report, these figures were inexplicably dropped from the report. I contacted the organisation to ask why that would be, and their response was no response. At around the same time these figures were dropped out of the reports, a new surrender process was implemented at the RSPCA QLD - including a new surrender portal. If pets are surrendered under "Owner Euthanasia Request" rather than "Owner Surrender" then it's possible that pets are being left out of end of year statistics deliberately. Are these pets now being redirected into the crematorium business? 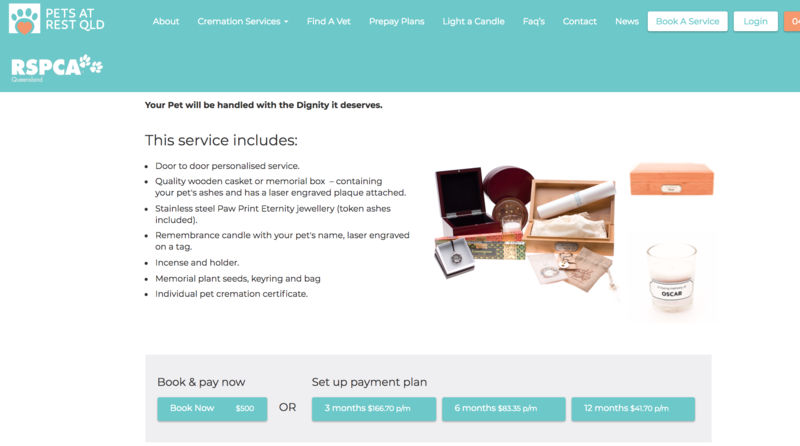 Having been paid for by donations from the community and with multiple service locations across Brisbane, surely the RSPCA QLD should be obligated to disclose how many pets are being cremated in their new facility, and the reasons why these pets were euthanised? Simply dropping sensitive figures out of their Annual Report is not acceptable.